Ok, so a couple of things. Firstly, while I love and am fascinated by languages in general, I do not speak German...sometimes I can barely speak English. But thanks to Google Translate I can list this recipe in it's mother tongue. I've mentioned in a previous post that while my heritage is half Lebanese, it is also half German. This recipe is based on my mother's and one that I grew up with; we simply called it potato salad. I've always enjoyed it, and for some reason have some of my fondest memories of eating it (at room temperature...egad!) at Crystal Beach as a youth. Anyhow, it is very easy to make, and super delicious. It is best eaten warm but just as good at room temperature (and there's something truly satisfying about eating leftovers straight from the fridge while the fat is congealed). This may not be the healthiest recipe, but it sure is tasty...and hey, everything in moderation, right? At least that's what I try to tell myself. Place the peeled and sliced potatoes in a pot with enough water to cover them. 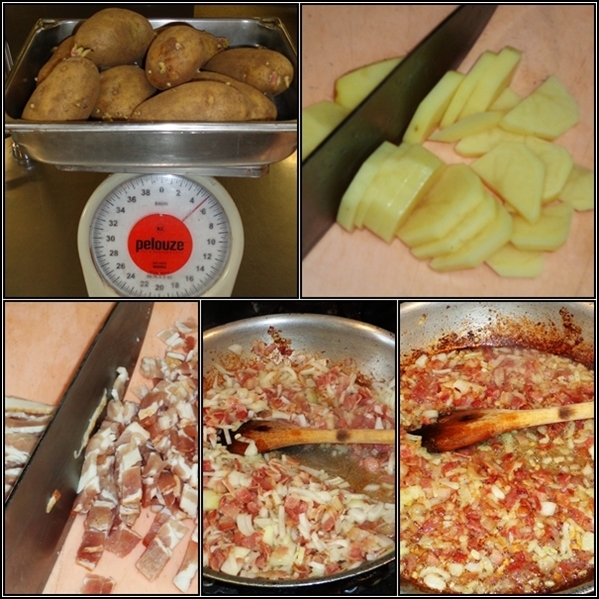 Set the pot over high heat and boil the potatoes for about 10 minutes or until cooked but not falling apart. 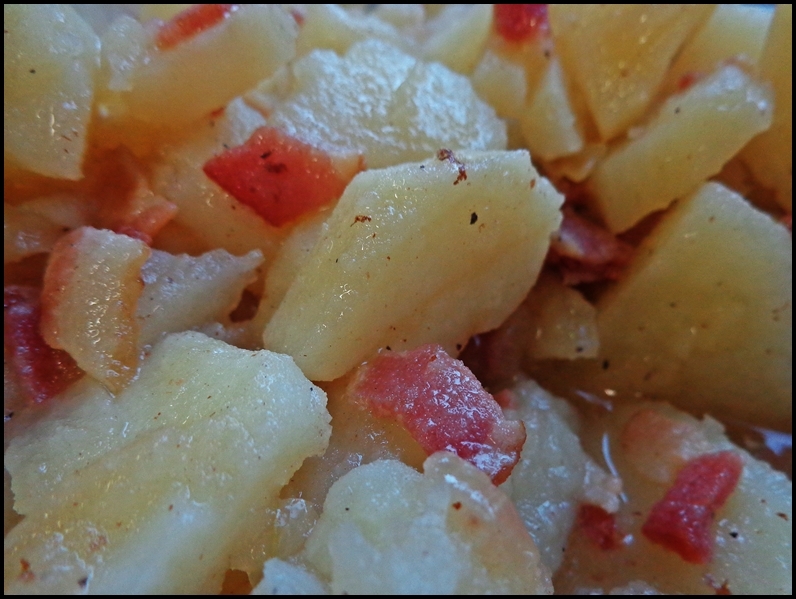 While the potatoes are cooking, combine the diced bacon and vegetable oil in a skillet over medium heat. Cook the bacon until the fat is rendered and it begins to brown, then add the onion and cook another few minutes until the onion is cooked but not browned. 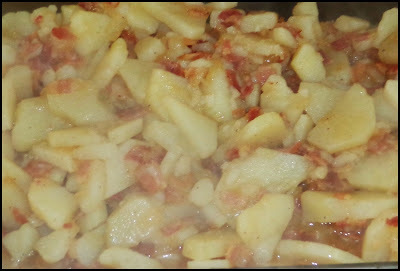 Stir in the water and sugar; stir and scrape the sides of the pan to remove any bacon flavor that may have adhered there. Remove the pan from the heat and stir in the vinegar, salt, and pepper. Drain the potatoes and transfer them to a bowl. Gently stir the bacon dressing into the potatoes while both are still warm. Allow the salad to rest for 5 minutes. Transfer the salad to a serving platter and serve warm or at room temperature.